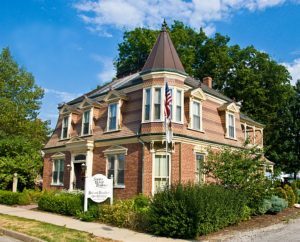 Choose a Waterloo, Illinois bed and breakfast during your visit to our Monroe County town with German roots! Unlike Waterloo, IL hotels, our area inns provide comfort and hospitality. Regular hotels cannot compare to our home-like atmospheres! A choice of a B&B for your Waterloo, IL lodging assures warm, comfortable rooms and friendly hosts whose personal goal is for you to enjoy your stay in our town. And with St. Louis just 20 minutes away, Waterloo is a perfect place to return to after a busy day in the city! Waterlo s historic German heritage has been traced back to Europe. Thanks to Vera Kholmeier of Waterloo and Helmut Macke of Porta Westfalica, Germany, it was discovered that, as of 1980, about two-thirds of Monroe County’s German residents could trace their ancestry back to northern Germany! As of 1981, Porta Westfalica became Waterloo’s Sister City. Visit the many nationally registered historic sites in Waterloo. The Fountain Creek Bridge just outside of town, Capt. 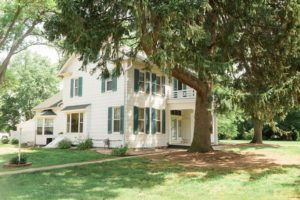 James Moore’s Farmstead, the Peterson House, and Waterloo’s Historic District await your visit and exploration! Illinois’ land and weather are perfect for vineyards and wineries, and Waterloo is no exception. Schorr Lake Vineyards is a 6-acre vineyard whose winery boasts a desk overlooking the vineyard and wooded property. So much awaits you in Waterloo! Our member inns of the Illinois Bed and Breakfast Association look forward to making your visit one to remember!